Sputnik: In your view, have the signatories to the Maastricht Treaty benefited from the EU? Nicole Hoechst: Yes, of course. The single European market of the initial 12 nations involved was strengthened by the progressive admission of further countries. It was bit by bit extended. The EU embraces over 500 million inhabitants today and thus has gained a certain power in geopolitics. The Euro has reduced transaction costs and EU members of the Eurozone have benefited from this fact respectively to their relative strength. And in the beginning there was no end to the joy of the newly gained freedom, which included freedom of movement and residence, freedom of trade without tolls and without frontiers. There was peace and unanimity ruled. 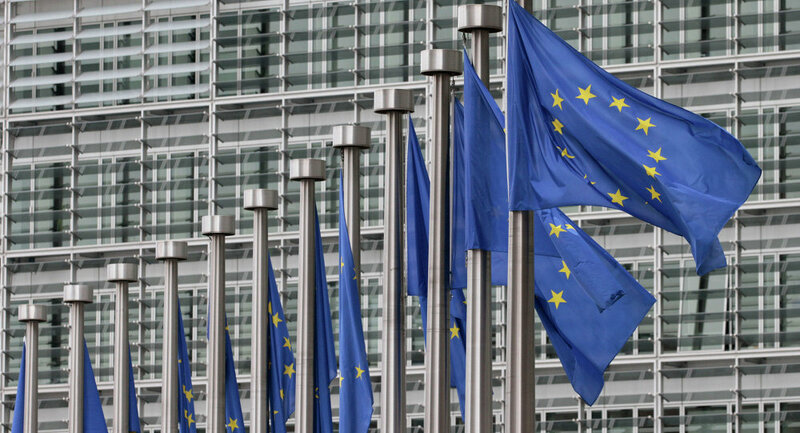 With the Maastricht Treaty of 1992, and especially its amendment in Lisbon 2007, the political elites have taken steps to permanently transform the EU into a centralised state. This was decided in spite of the popular referenda in France and in the Netherlands in 2005. In both countries citizens rejected the so-called Treaty on the Foundation of a European Community. Nevertheless, the political leadership of the major EU nations wishes to enforce this project — come hell or high water – against the obvious majority of the peoples in the EU. Ever since many political decisions have been made by the EU the to the disadvantage of European citizens, disregarding the Maastricht, the Schengen and the Dublin Treaty. Furthermore, the political players of the EU have long since successfully turned the EU into a monstrosity: The construction of vast administration departments and government agencies includes no less than twelve EU institutions with 44.000 EU officials and 11,000 employees, personnel costs of more than eight million Euros, twenty-four EU agencies with an amount of employees that isn’t officially released and last but not least legions of translators and service providers. All of those Members of the EU Parliament, commissioners, officials and others receive disproportionate salaries and privileges. In short, the EU has become an undemocratic entity, whose policies are determined by bureaucrats who have no democratic accountability nourishing a disproportionally huge and very well paid administrative beast. Fundamental reform of the EU is necessary, if it is to remain a beacon of freedom and democracy in the world. Sputnik: Has it played a positive role in their economic development? Which countries benefited most? Nicole Hoechst: Yes, in the beginning, the treaties had a positive impact for every nation even if the economies were very different. Europe has always been divided into economically strong countries in the North and somehow economically weaker countries in the South including France. Initially the weaker southern economies experienced advantages such as for example reduction of interests and thus free resources to invest in building. They also received money out of structural funds. After the financial crisis the weakness of the southern states, which didn’t solve their structural problems with the additional money but spent it on disproportional raising of wages and consumption spending, loomed large. Those mistakes led to higher current account deficits, higher private and state debts. It also led to the amplification between the economic strength of North and South. And despite all of the bailout activities, the economic power of Greece has suffered greatly. Sputnik: What was the effect on Germany? Do you think that Germany would be better off if it wasn’t part of the agreement? Nicole Hoechst: According to its competitive strength, Germany has benefited from the treaties and the Schroeder agenda 2010 helped to accentuate it. Whether we would be better or worse off in Germany without Maastricht, remains just speculation. Anyway taking everything into account, we wouldn’t be much worse off in Germany without it. Some EU countries not in the Eurozone have proved more successful than those within. After the financial crisis, all European countries benefited from the EZB policy at the first glance, i.e. the zero interest policy that helped states to reduce national debts. And it is true that the weak Euro has boosted German economic power on the global market. Germany cannot be held accountable for the weakness of the Euro currency, quite the contrary, it has reduced the financial crisis’ impact on the Euro because of its economic strength. Sputnik: Looking back, do you think the treaty should have been introduced at all? Nicole Hoechst: Looking back at the period of time when the treaties were negotiated, we can state numerous high impact political changes. German Unity, the break-up of the Soviet Union and the Warsaw Pact led to the need to politically redefine Europe along the axes of prolonging the existing agreements (i.e. agricultural market and single European market), common foreign and security policy, cooperation in the field of justice and internal affairs. So the seed of centralisation was planted and the eternal rivals France and Great Britain had to welcome a cautious competitor into their debates on balance of power. So yes, I can still see the necessity for the new treaties that set out to accommodate the necessities of that time. But looking back now, there is a need to realise today, that Maastricht went totally wrong. Schengen and Dublin are flawed, the inner peace of the Union is utterly disturbed. Let’s go deeper into this: Long before today’s Eurozone was politically planned in 1990, it was been a region of economic, monetary, political and cultural differences. Judging by historical experience, a single currency area was and is not suited to a heterogeneous, supra-national monetary union. It should in the first place never have been expanded beyond the free-trade zone of the EEC. 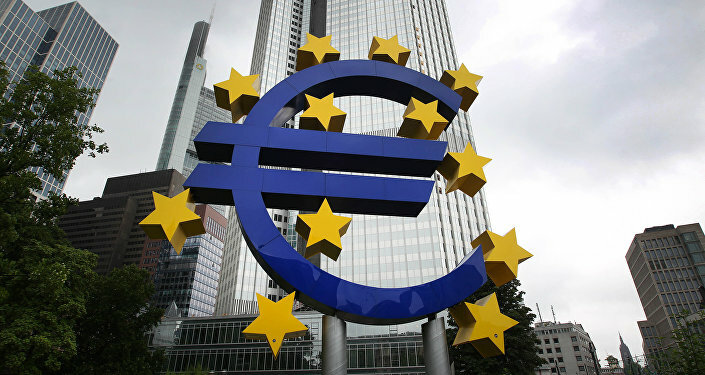 From the very beginning the introduction of the Euro has been a purely political project. All warning messages from economists and historians were ignored. Since 1999, the Euro exchange rates to national currencies in the current Eurozone were fixed, which resulted in uniform interest rates. Consequently two vital market economic tools were removed from member states, which until 1998 had been used to successfully balance differences in the economic performance between EU member states. Since then, the necessary adjustment of productivity differences through nominal upward and downward revaluation of national currencies has been prevented by the Euro. The economic development potential of a EU nation has therefore been reduced. For a considerable period of time the Eurozone has produced growth rates below the worldwide average. According to the aspirations proclaimed in Lisbon, the Eurozone was supposed to become the “most dynamic and innovative economic zone in the world". After seventeen years of artificially-enforced, market-remote currency regulations, the common currency is no longer viable without ongoing massive wealth transfers into EU member states that do not meet the standards of the currency union. The Euro project has thus become a huge failure. I want to point out that the rescue policies of the EU, the ECB, and the ESM violate sovereignty rights. In addition, these policies are in breach of political and contractual promises made to voters that Germany would never be liable for the debts of other countries. Today we can say that is all a big lie, intentional or not and we need to state the principles of German consent to the Maastricht Treaty, which led to the introduction of the Euro, have been nullified. The introduction of the Euro currency has led to resentment and confrontation amongst countries in Europe and tensions arising amongst European nation states can inherently be ascribed to the Euro. As for Germany, the liability risks that we have accumulated to date, and which amount to hundreds of billions of Euro, have never been debated in, and authorised by, the national parliaments. So the Euro can be regarded as a large-scale experiment affecting the entire continent. The establishment of the Eurozone threatens to destroy the cultural heritage of European history being democratic rule and the peaceful co-existance of sovereign nation states. We of the AfD being German and Europeans at heart want to prevent this from happening and strive to instantly discontinue the foolhardy Euro experiment. The AfD is fully aware that the correction of an almost twenty-year-old aberration will be painful. But in order to save friendship, peace, sovereignty, wealth, and unity amongst European nations, we need to take action soon.